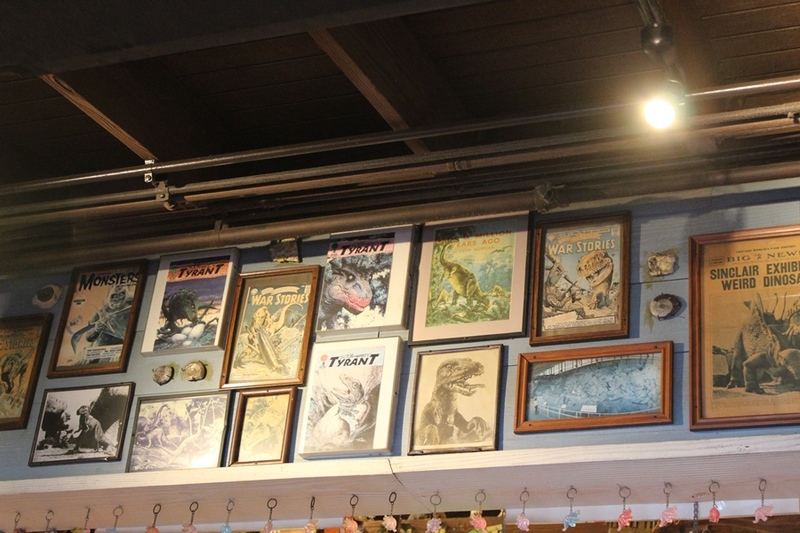 There are a lot of artifacts scattered around Chester & Hester’s Dinosaur Treasures that are vying for guests’ attention. Not the least of which is the copious amounts of souvenirs that the shop is selling. 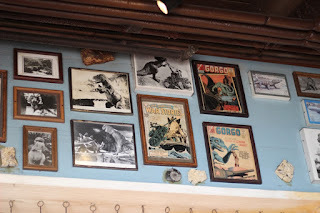 However, scattered amongst the dinosaur bones, plastic dinosaurs, and Coca-Cola memorabilia are a ton of comics mounted adorning the walls. Some, like Batman or The Amazing Spider-Man, are well known to all who pass by, but there are many others that are straight out of quarter bin. Of course, that doesn’t mean that they don’t have a worthwhile story to tell. Let’s examine three titles that do our dinosaurs proud. First up is Tyrant. This is the shortest lived comic on our list, but the four issue series’ real teeth lie in the story it tells about the life and times of a Tyrannosaurus rex. The biography of a dinosaur comic ran for four issues between 1994 and 1996 and was an obvious passion project for its creator, Stephen R. Bissette. While he didn’t get to tell the entire tale from hatching up through the Tyrannosaurus rex’s death, his artwork on the book is incredibly detailed, which one would expect from the artist behind the Saga of Swamp Thing. Bissette would leave comic creation behind shortly after Tyrant’s run concluded and now teaches Comic Art History, Drawing, and Film at the Center for Cartoon Studies. The next of our off the wall picks is Star Spangled War Stories, and it is about as off the wall as it gets. This series was a long running comic from DC Comics that ran from 1952 until 1977 with more than 200 issues under its belt. While a majority of the stories focused on a fictional World War II resistance fighter, there was a period where the stories took a distinctive prehistoric slant, specifically when Dinosaur Island entered the fray with issue 90. These stories by Robert Kanigher and Ross Andru became a part of the comic book’s rotational stories and were eventually assembled in the collected edition known as The War the Time Forgot. Lastly, but certainly not least, let’s meet Gorgo. If Gorgo sounds like some 1960’s b-movie that you have some foggy recollection of viewing as a child on a Saturday afternoon, then well done to you, because your memory is spot on and that’s precisely where this story starts. The film was a 1961 British-American science fiction film feature a young sea creature, named Gorgo by an entrepreneurial circus owner, whose mother, Orga, ravages London to find her son. This sounds like a tried and true monster trope if I’ve ever heard one. The comic series began in 1961, with the first issue recapping the movie before moving on to a 23 issue run that would end in 1965. The Charlton Comics book introduced a wealth of other sea monsters, dinosaurs, and other mythical creatures in its short lifespan as Gorgo found other adventures, usually with his mother not far behind. 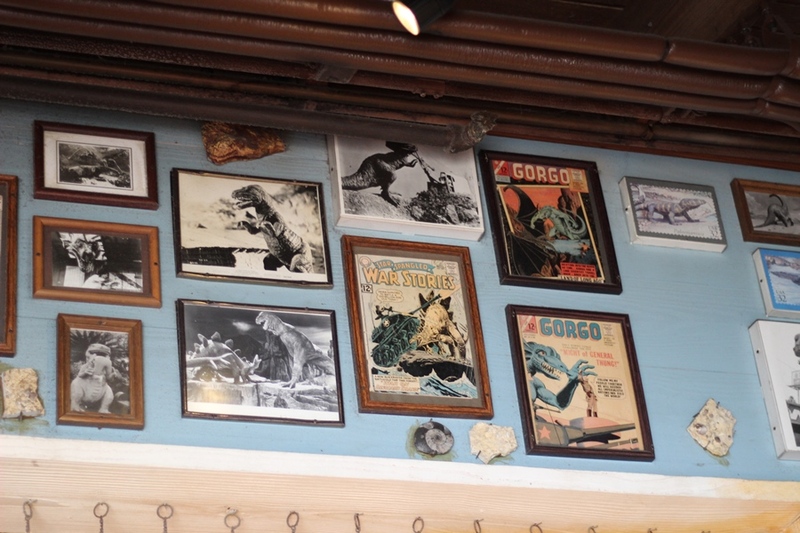 Created by Joe Gill, Gorgo featured a number of artists including the legendary Steve Ditko. 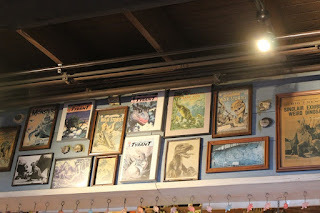 If Chester & Hester’s teaches us anything, it’s never to judge a book by cover, and this is especially true of the dinosaur clad comic books that cover the walls. Sure, they cover images depict gigantic beasts storming through cities, destroying military equipment with ease, or even terrifying one another, but there is much more to be found in these, and other stories, throughout Chester & Hester’s Dinosaur Treasures, where the dinosaur knick knacks are the true treasure waiting to be discovered.